In What 4 Ways Can a Hearing Test Save You? Perhaps you think a hearing test is only necessary if there is a problem with your ears. Perhaps your family complains you turn the sound up too high on the television when you watch your favorite show or you’ve noticed that conversations seem garbled more and more. Those are both practical reasons to schedule an appointment with a hearing professional. The National Institute on Deafness and Other Communication Disorders states about 15 percent of the adult population living in the United States has similar problems, more so as they grow older. In fact, it’s possible that you have some hearing loss and getting the test done will provide an answer. What you might not understand, though, is getting screened for hearing loss is a lifesaver because that change in your hearing might indicate something much bigger is affecting your health. Consider four ways getting a hearing test could save your life. This is a connection that medical researchers have made just recently, but one critical for millions of individuals. The World Health Association (WHO) estimates that by 2050, there may be over 100 million individuals globally suffering from some form of dementia. At the root of this increase is the age-related hearing loss. Research offered by scientists at Johns Hopkins Medical Institutions discovered that people with mild hearing loss, around a 25 decimal decline, increase their risk of developing Alzheimer’s. For every 10 decibels that your hearing drops, the risk increases by 20 percent. The reasoning is complex, but, essentially, the struggle to hear constantly takes a toll on the brain. A hearing test can predict your risk level and help create a solution like a hearing aid to reduce this brain stress and lower your risk. Getting a full hearing exam might save you from a heart attack or stroke. A decrease in hearing is often one of the first signs of heart disease. The inner ear has a very sensitive network of blood vessels. Even the tiniest change in blood flow, like a poorly functioning major artery, can show up first as hearing loss. If the hearing test indicates a slight decrease, but there doesn’t appear to be any problem with the mechanisms of your ears, the next place to look at blood flow. A hearing screening provides a full assessment that goes beyond just the audiometer screening. A medical professional will do a physical exam of your ears, too. This location is a difficult to see and where a suspect mole can be easily missed. During the evaluation, the physician will look at the skin for signs of lesions or potential cancer growth. The old saying you don’t miss something until it’s gone if very true when it comes to hearing. Even minor hearing loss can bring with it stress and depression. You may not know why you’re struggling to keep up or perhaps you think bad hearing is just part of getting older. You may be afraid of what a hearing test will tell you, too. What if you are going deaf and there is nothing you can do about it? That fear is unwarranted for most. 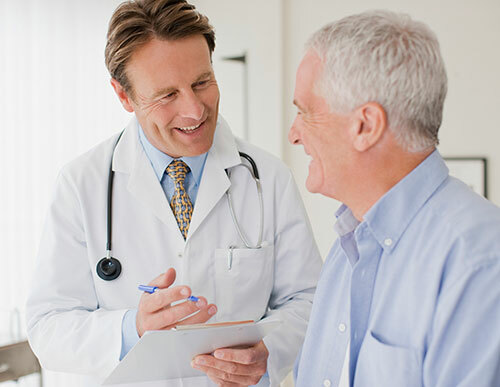 Hearing loss is usually treatable medically or by using a hearing assistance device. Either way, you have more to lose than gain by avoiding this simple test. You are making a choice when you decide to live with your hearing loss instead of getting tested and treated. Now you know it’s a decision that can really cost you.